When launching a new website, some people only pay attention to the web design. Design is important, and your website shouldn’t look nightmarish. However, to make your website visible online, to effectively attract customers, and to generate leads, you need to invest in new website SEO. If you pursue your goal of a website that attracts clients, you need to optimize your website for organic traffic. This process may not be easy, but it is necessary to the success of your website. This SEO basics checklist can help you understand the steps needed to launch your new website applying correct SEO techniques. What Is SEO and How Do I Use It? SEO stands for search engine optimization (SEO), which essentially means trying to earn traffic by optimizing your website to rank it higher in search engine results. Organic traffic to your website means potential clients. If you don’t get enough traffic to your website, your business misses the chance to flourish. Successful SEO website tactics require constant improvement and rearrangement of your website content. Unfortunately, you can’t just make “SEO magic” with a few hours of work and enjoy results for years. You need to keep an eye on current SEO trends (including SEO advice from experienced website publishers), changes in Google ranking algorithms, and customer behavior. Let’s get started. The first item to consider is keyword research. To rank highly on search pages for your target keywords, you need to build your website in a manner that allows each page to target its own set of highly relevant and closely related keywords. The structure of your website directly impacts its ability to rank. For instance, pretend you are about to launch a website for your own law company. You have different services: personal injury, labor and employment, and real estate and immigration services. You would like each of these law categories to rank highly on search results for target keywords that are relevant to their content. This way you can attract searchers to your site who are looking for a specific type of service. Each page on the website must have an obvious theme. It targets its own keyword rather than one page targeting multiple keywords. You can target the keywords on each page to achieve maximum relevance. Each category can be broken down into additional subcategories. For example, if your website offers several unrelated types of service, you could further break down the services into additional subpages to target even more specific keywords. This structure enables each page to focus on its own primary keyword while also targeting secondary keywords. Developing a website structure this way, with sets of keywords targeted by a dedicated page, allows each page to achieve relevance and provides better visibility in organic search results pages. Long-tail keywords are those longer keyword phrases that are ultra-specific to the thing you are selling or talking about. When customers use these, they already know exactly what they are looking for. By using them, you will be targeting customers ready to buy. This means even more conversions. Search-related phrases can serve as long tail keywords. You can easily find them at the bottom of the page in Google. Remember that it is very important part of your marketing strategy. Target each page on your website for one major keyword (key term) only. Using the structure shown above as an example, make sure each page in your website structure is as specific and relevant as possible. Don’t optimize a single page for multiple different keywords. The current best practice prioritizes several pages for several topics over using a single page to cover multiple topics. Pro Tip: Start out with lower-volume keywords so you can drum up interest over time. In today’s SEO world, content is, perhaps, one of the biggest and most important ranking factors. Before starting SEO for your law firm website, it’s important to ensure your website offers content that is engaging and helps your users achieve something they searched for. According to studies, content with 2,000 or more words has a greater chance to rank more highly in Google in comparison to pages with thinner content. It is a more complicated task to cover a certain topic in a comprehensive way. However, writing comprehensively about your subject pays off in the long term. Being specific affects allows you to rank higher in organic search results. When planning how to create SEO for website visibility, put yourself in a client’s shoes. What would you like to see when you type a specific request in Google? Treat your content like a priceless solution to someone’s problem. When you think this way, you won’t struggle to create 500-word blog posts or a website page. Creating effective content is hard in the beginning, but it eventually pays off in the long term. Another positive effect of longer content means that it is more engaging. Longer content also has a greater chance to attract backlinks. Backlinks are another incredibly important factor for achieving higher rankings in search engine results pages. Start your content with the main keyword you want to target. Preferably, your main keyword should appear in the first 100 words of article. Include your main keyword from time to time throughout your writing but be careful not to overuse it. You should also add your keyword to the H1 and H2 headings of your page, while also adding long-tail keywords to your H3 subheadings. Don’t forget to check that keywords appear normally in your content - they shouldn’t look weird to readers. If your focus starts to drift away from the reader, remember what is the use of SEO in website development: your content is for humans, user experience comes first. Write long content (2,000+ words) because it ranks better. Use concise URLs that are easy on the eyes and include your target keyword when building pages. For example, use www.yournewwebsite.com/target-keyword instead of www.yournewwebsite.com/1841974.  Add internal links to your content. Include at least two or three internal links to other articles in every new piece you write. Pro Tip: Include Modifiers. Next, produce title tags with the intention of attracting traffic from search engines. Each page on your website should have its own distinctive title tag. Use modifiers such as “2018,” “best,” or “updated” to pick up results from a wider range of long-tail searches. What the Heck is the Title Tag? This example should make clear that having the keyword at the start of the title attracts the user’s attention and shows Google that your page offers relevant information. Since your site uses a structure that allows each page to target specific keywords, these keywords also become visible in the URL. The meta description is one more factor that can help you improve engagement with end users. 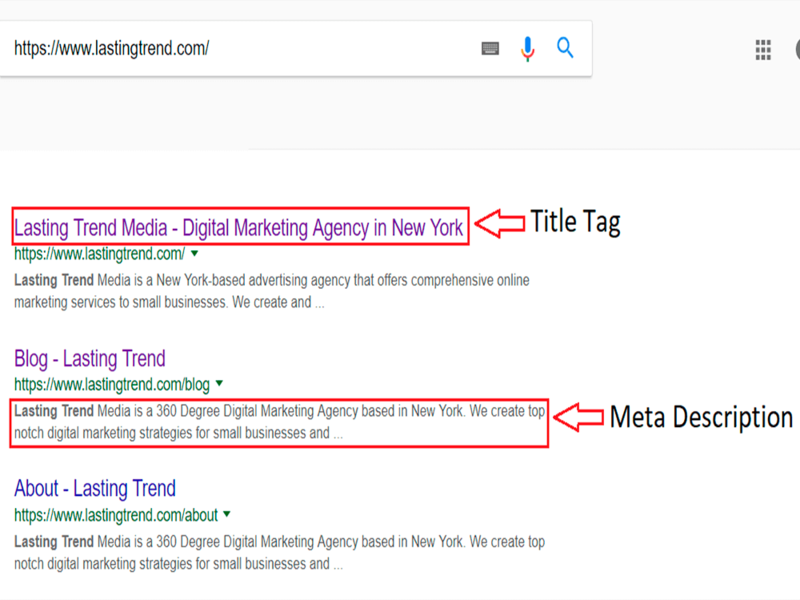 Creating good meta descriptions is important SEO step for website development.The meta description is a small text under the title tag that can be found under the URL. It is not a ranking factor. However, the meta description impacts your page clickthrough rate (CTR). Meta descriptions are often a decisive factor for encouraging a user to click through into your page. An example of a meta description is below. The meta description is like a short snippet that describes what the page is about (so don’t forget to include a target keyword in it). When your meta description is detailed and targeted to the keyword or phrases, users click through to your page. Every page on your website needs meta descriptions. You should also optimize for Google Image search results. Add images to your pages. You can create customized graphics with Canva or Photoshop to add your blog posts. Don’t forget to include target keywords in image filenames. Add keyword-rich alt text to all your images when you upload them. Write unique meta descriptions for each page to improve the CTR. Include your major keyword in each meta description so it fits in a natural way. Meta descriptions should encourage readers to click through to your page. Include images to increase Google Image search rankings. Each image should include descriptions and titles with target keywords. Write a title tag that includes your target keyword. Avoid padding your title and description tags with keywords. Write simple, informative title tags that encourage users to click on your page. Pro Tip: Your title tag needs to be under 55 characters, otherwise Google cuts it short, so it’s important to keep your page titles concise and simple. Consider it best practice to use your target keyword toward the beginning of the title tag so that it achieves maximum visibility and attracts users. Keep the length of your meta descriptions under 155 characters. Longer meta descriptions are cut by Google and not seen by users. A landing page that is designed well can enhance sales numbers and generate leads. So, what is a landing page? When someone finds your website, they rarely land on your home page first. Often, users have searched for a specific need your website discusses. An landing page simply refers to the first page that brings visitors to your website. The main purpose of a landing page is to provide an engaging information that funnels your readers to your call to action (CTA). 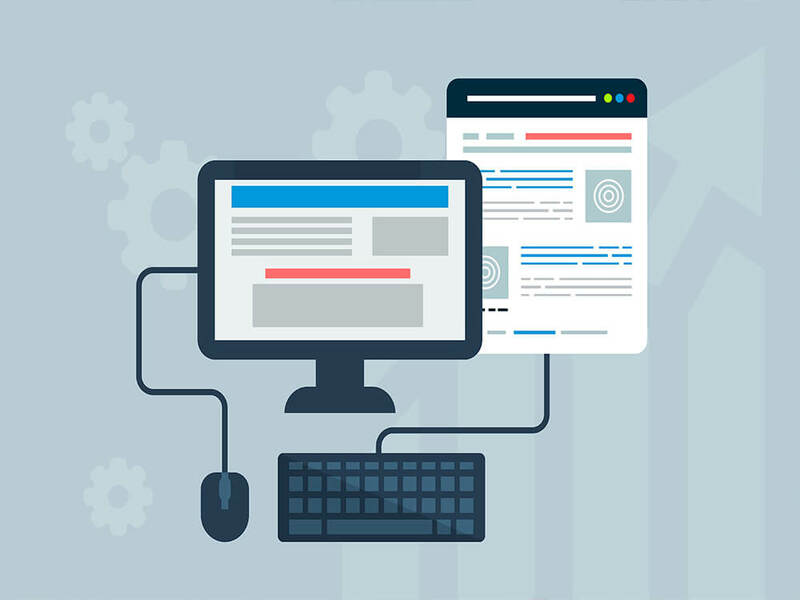 Each landing page needs a specific headline and a catchy subtitle, and the more landing pages you can offer search engine users, the more chances you have to capture search traffic.Your CTA should include both a short snippet of text and a button, so users are prompted to click to complete a specific action. The action depends on your goals but should include more than just urges to “Buy now!” Your CTA might simply encourage your visitor to seek more information on your website, sign up for an email campaign, or download a form. Your landing page should include concisely-written, meaningful content with high quality images. This engages readers to continue reading. Include both internal and external links to drive traffic to other locations in your website and establish credibility. Avoid excessive requests, such as requests for likes and shares on Facebook, so that visitors have only one act to perform. Keeping it simple can substantially increase your conversion rate. Create standout headlines that use your targeted keywords. Ensure your secondary headline is catchy. Create engaging, useful, and informative content that makes use of supporting keywords. Use testimonials or other forms of positive social proof. Use an actionable call-to-action that encourages users to buy a product, sign up for a service, load a lead magnet, or something similar. Create a CTA link that you can use within your CTA text. Use inbound and outbound hyperlinks that can boost your search engine results page rankings. Avoid navigation that can cause your users to leave the page. Pro Tip: Follow the three-second rule. Show your landing pages to a friend and ask them what the page is about. If they can give you a clear answer in three seconds, you have done a great job. To compound the issue with loading times, the chances of mobile visitors bouncing shoots up to 113% when the time it takes for a page to load increases to seven seconds. Having a large number of page elements can slow loading times and can also impact conversion rates. Make sure you don’t use heavy images. You can also use the Google speed test to figure out your issues and how to solve them. Copy your website URL and paste it into the box. The results show you what needs to be fixed. This method also provides your website with a score for mobile sites that complement a desktop version. Check both scores, but the mobile version should come first in terms of priority. Pro Tip: Having a large number of page elements can slow loading times and can also impact conversion rates. Make sure you don’t use heavy images. More and more people use their mobile devices to surf the Internet. We predicted that mobile internet users would eventually surpass the number of desktop users. It eventually happened. Previously in Google’s history, the search engine indexed sites prioritizing content designed for desktop users. However, the mobile version now comes first. Google is preparing to index and rate your page based primarily on the value of mobile user experiences. If the user experience on both your desktop and mobile website are similar, Google switching to mobile first should not dramatically affect your rankings. For example, the image below shows desktop and mobile experiences for the exact same page. Check out how similar the content looks on both. Be aware though that prioritizing indexing for mobile-first results might make you lose ranking if your site serves different experiences between mobile and desktop devices. We recommend you use responsive design. 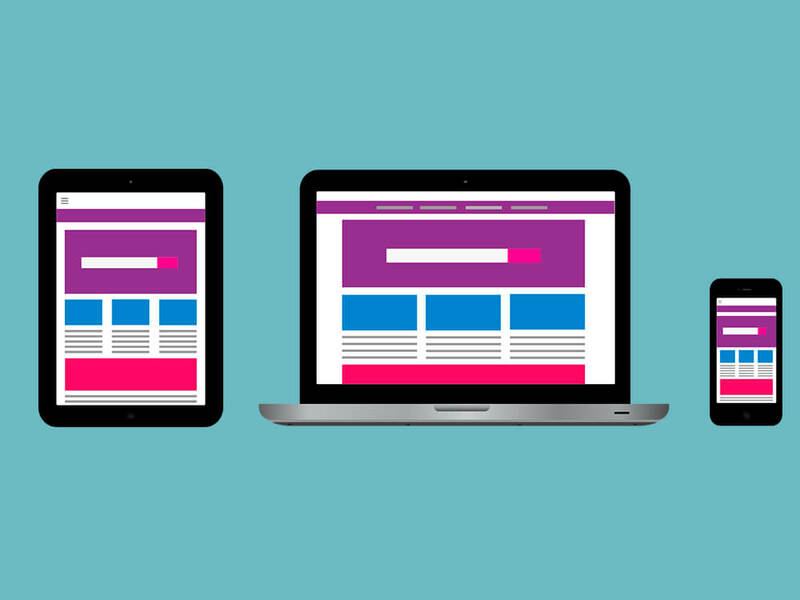 Responsive design means your content appears the same on both mobile and desktop versions. Google also recommends responsive design. Check your website load speed with the Google speed test. Fix any issues from the speed test—don’t worry, Google gives you hints for fixes. Use responsive design rather than non-responsive design. Pro Tip: Check how mobile-friendly your website looks on different mobiles devices, such as the iPhones 6, 7, 8, and X as well as the Samsung Galaxy devices. If you’ve follow these guidelines so far, you’ve done a great job. Now we move forward in the SEO process. The next step is link building. How do we start? Reach out to your community, friends, acquaintances, industry influencers, and colleagues. Ask them to share your page and hope they might be interested in reporting results to you. Try to make connections with bloggers in your industry (these connections might already exist) and ask if they are interested in writing about you. You can also try email outreach. Find relevant content and sources which are already linked to your content. Reach out with your own content. Try guest blogging. Reach out to bloggers to earn the opportunity to write for them, building high-value links to your website in the process. You can also work with Haro and help journalists by answering their requests. These sources are not always easy, but who said it would be easy, anyway? Remember, link building is a slow and gradual process that demands consistency. Pro Tip: Are you considering to use traditin advertizing? Check our guide to better advertizing: online marketing vs tradition offline marketing. If you have followed this guide so far, you have built your website, written all the content, and created unique meta-descriptions and title tags for every page. What’s next? Your next step involves the installation of software to track your performance. 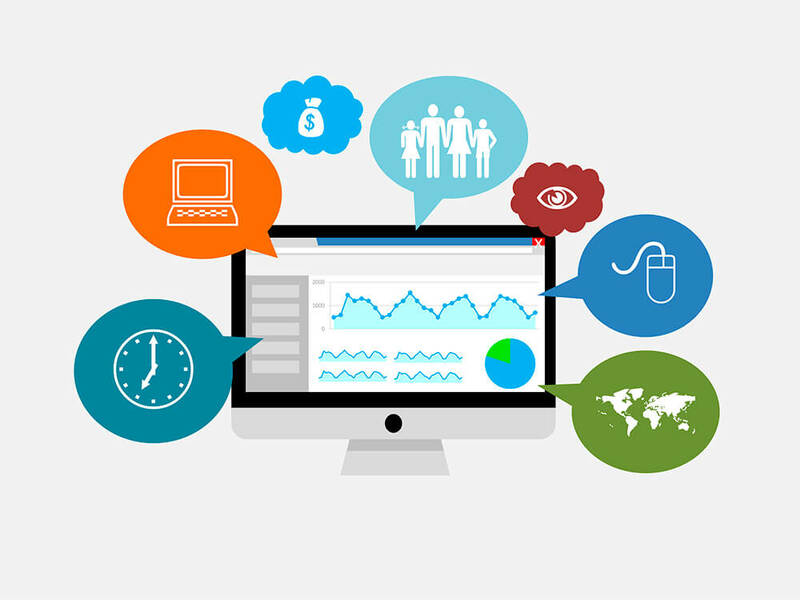 Google Analytics is a free usage tracking software that gives you information on how people use your website. It also provides insight. Google Analytics offers great opportunities for optimizing your website to further target specific keywords. Setting your website with Google Analytics early on into your its existence gives you access to data at the very moment your website starts to generate even a little bit of traffic. This helps you optimize your website as it grows and gives you a deeper insight into how SEO works for websites. Google Analytics installation is simple. Go to Google.com/Analytics and use your account with Google to sign up. Once you’ve set up your website in the Analytics interface, add the unique tracking code you obtained from Analytics onto your website. After you get yourself set up with Google Analytics, set your website up on the Google Search Console. Search Console is a platform Google offers to webmasters for surfacing valuable data about your website’s performance in organic search. The information it provides includes keywords and their respective rankings. You can also check the CTR for individual keywords, as well as monitor keyword impressions and other valuable data. To include your website on Search Console, go to Google.com/Webmasters. Since you already linked your site to an account on Google Analytics, you can use Search Console without any additional verification processes. These two steps may not seem so important right now, but they become extremely useful as your website begins to generate traffic and rank for target keywords. Pro TIp: Start using Google Ads to see visitors perform on your website. Don't know how to use it? Check our PPC case study. So, after you have checked everything to make sure your new website is SEO optimized, you could launch it. You could do it by yourself. Of course, it is easier to consult a professional internet marketing company for advice. This guide has been generated based on our knowledge and experience, but Google constantly changes the rules and principles of ranking. As a professional SEO company, Lasting Trend has hands-on experience with the recent changes in Google ranking algorithms and can provide an effective and clear solutions for a new website’s SEO.